To use as Wedding backdrop, you would have to buy multiple strands. 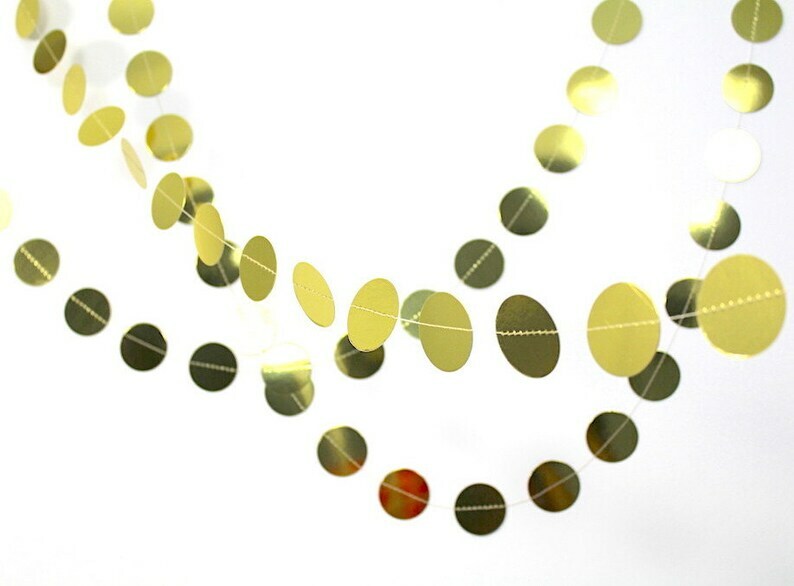 Gold circle garland for decorating your home for birthday, baby shower, bridal shower etc. You can hang it above your fireplace, on living room walls, across windows or doorway, as table decoration etc.